1. VALUE: In terms of value, DK2 is hard to beat. Their quality is comparable but at a price point that makes it very feasible for personal use. 3. MOUNTS: DK2 custom mounts provide the fit and finish you will enjoy, with solid connection between the plow and your truck to prolongue the lifespan of your plow and to ease the workload on your truck. 4. PACKAGING: DK2 put the engineering required into their packaging to ensure the plow can ship in a cost effective manner and to avoid damage in route to its destination. 5. DESIGN: DK2's latest design improvements has shortened the plow frame by 14 inches, making the frame stronger and more durable. 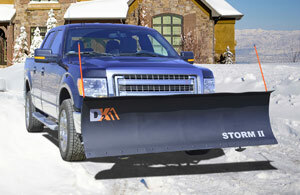 The latest addition to the family of DK2 Snow Plows in Canada is the Avalanche. It provides the simplicity of the original T-Frame plow, but with the strength of the custom mount plow. This plow makes for a great personal plow to clear a small parking lot or any driveway, it's quick and simple to load as it simply slides into any 2 inch front mount receiver, also making it easy for removal and storage. Each Avalanche plow ships in a single carton, complete with scrapers, rubber deflector, skid shoes, caster kit and wireless 3,000lb capacity winch. 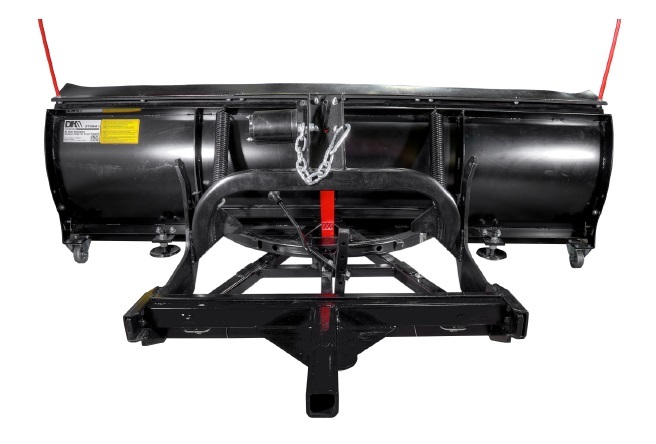 If you need a snow plow front mount receiver, they can be purchase here at hitchweb.